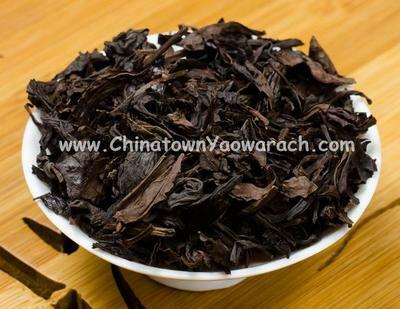 Shui Xian Tea are large and big leaves which are not in regular shape. The color is light orange brown. The taste is pure and heavy.